Discussion in 'POTW Collaboration' started by Serebii, Dec 9, 2018. 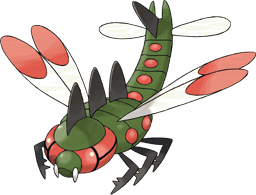 All jokes aside, if you lose some kind of sadistic bet that forces you to add a Bug/Flying type to your competitive team, the joke's on them because GameFreak somehow managed to make a decent competitive Pokemon that has this overused and and terrible type combination. Yanmega still has its faults, but used properly it can make for an effective late-game sweeper. -116 Sp. Attack is impressive, and 95 Speed is usable. -Two top tier abilities allow it to shore up its Speed or offensive coverage. -86 HP and Defense aren't terrible for a Bug type. -Without Speed Boost, it struggles to outspeed many of its threats, and without Tinted Lens it's liable to get walled by certain types. So it's a matter of pick your poison. -Suffers from a shallow offensive movepool outside its STAB's, forcing it to rely on moves like Hidden Power and Giga Drain. -Bug/Flying is still terrible typing offensively and defensively, not to mention the 50% health loss with Stealth Rock. -58 Sp. Defense is not impressive by any means, and frankly Yanmega has a hard time taking hits in general. -It looks totally creepy (Cue Misty freak-out). A pretty straightforward choice set that takes full advantage of Tinted Lens. Bug Buzz and Air Slash are your STAB's of choice, the latter of which with any luck may net you a flinch chance and buy you a turn you desperately need. Hidden Power (Ground) offers the best coverage against the Rock/Steel types that 4x resist your STABs, and U-Turn is there so you can bail if you find yourself faced against a target you're ill-suited to take out. Alternatively, you could opt to run Speed Boost over Tinted Lens to get the speed you really need at the cost of STAB coverage. The only real changes you would have to make to this set is to consider swapping your nature to Modest for the extra power, or replacing U-Turn with Giga Drain to compensate for the lack of coverage. This set sacrifices the power of the choice set for a Life Orb, allowing greater freedom offensively thus enabling Yanmega to swap out less (Thanks a lot Stealth Rock). Second verse same as the first Bug Buzz and Air Slash are for STAB, Hidden Power (Ground) for coverage, though Giga Drain has the bonus of dealing better damage against Rock types whilst healing off Life Orb damage. Protect in the final slot allows you to not just scout, but also guarantees a turn for Speed Boost to kick in and outspeed faster threats. This also lets you run a Modest nature without significant sacrifice to your speed. Yanmega is one of my favorite battlers and it's always fun in a battle of wits to outspeed and KO a fellow speed-booster, one-shotting many regular speed boost Blazikens whose trainers have no clue how good Yanmega's Special Attack and Speed are. Yanmega's sort of most-famous appearance is when in the anime, Jessie captures one and uses it for Team Rocket's schemes. 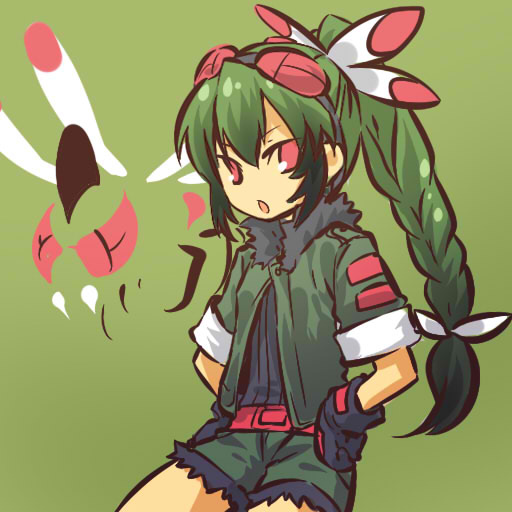 However arguably it's best and most famous appearance is none other than in the Pokemon Adventures manga, during the Diamond and Pearl chapter where Galactic Commander Mars uses Yanmega at it's deadliest, utilizing moves like Bug Buzz and U-Turn at swift zig-zagging speeds proving to be one of her strongest battlers, pushing trainer Diamond (Lucas) into a corner while also handling herself well with a big smile on her face against a couple of Gen 4's Stat Trainers. 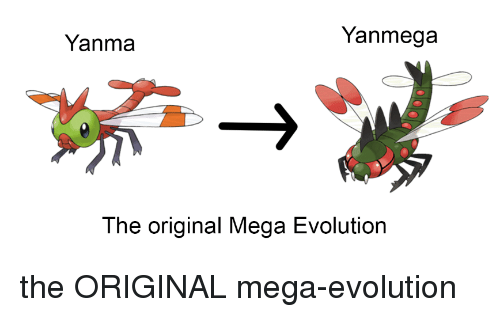 Yanmega is certainly a Pokemon not to underestimate in the games, manga and... I guess the anime? I don't know. Compare to Yanmega's battlestyle and how it's used in the games and the Adventures manga, Jessie doesn't really utilize her Yanmega all that well. So what's Yanmega like? You'll never see it coming. Life Orb Yanmega is a monster on the field if you do not properly counter this, having just enough EVs for sweeping potential while enough for a little bulk for survivability, Yanmega is not to be underestimated by anyone. To give you an idea Yanmega has enough speed to outspeed regular Blaziken, which is a common choice over Mega Blaziken for extra Mega Evolution alternatives, and has just enough Special Attack to obliterate Blaziken with Air Slash. And this is just WITHOUT Speed Boost. With Speed Boost, Yanmega can still have a 87.5% chance of one-shotting a recently switched-in Mega Blaziken with full investment in its Special Defenses. That is how much of a monster Yanmega's power and speed are with only the 216 invested Sp. Atk. Unfortunately it's Bug-Flying typing is both a blessing and a curse. While it does grant it STAB against common types like Psychic and Fighting, especially Fighting as many of them have low special defenses, it has a 4X weakness to rock and ice types. That's where Giga Drain comes in but it's only most effective during certain situations against common type combinations that result in 4x weakness to grass, notably rock/ground or water/grass. Because of this 4x weakness to rock, it also takes 4x the damage from Stealth Rocks. However it is still not to be underestimated as it's an absolute monster on the field once it uses the move Detect to stall for speed boost, allowing it's sweeping potential to rise faster. In fact it's speed stat paired with speed boost is so good that you don't actually need all 252 Speed EVs if you plan on stalling with Detect. A total of a 172 Spe EVs = 137 Speed for Yanmega at Lv. 50 at Modest Nature which means 1 speed boost will immediately launch Yanmega's 137 speed to 205.5, allowing it to outspeed a majority of Pokemon at Lv. 50, including Greninja and Mega Gengar. The only reason one would get not only full 252 Speed EVs but also a Speed-focus Nature is so Yanmega can have a head-start against more Pokemon, like Mega Blaziken, on Turn 1 or during switch-outs. This sounds incredibly useful until you may realize that it's limited type coverage might be in the way of it's sweeping potential, especially in terms of flying, ice and fire-types that aren't Blaziken can potentially revenge kill it. One could change up Yanmega's moveset here a bit but most of his well-known moves are just too essential to let go for most people, Bug Buzz and Air Slash being his STAB moves, Giga Drain being a recovery move and Detect being a back-up plan if Yanmega can't potentially sweep anything at the start. However if people do opt to change Yanmega's moveset a bit, some people switch out Giga Drain or Detect for moves like Ancient Power against those with 4x weakness to rock, and Tailwind in doubles however this is only for situational stuff and Tailwind fits other Pokemon's playstyles better than Yanmega. The most common changes in his usual moveset however are Yanmega's Silver Wind which is like Ancient Power but better due to STAB and Yanmega's U-Turn which allows Yanmega to dish out some damage before switching out. The problem with these moves however is that Silver Wind's stat-boosts can't be relied on in competitive, Bug Buzz's 80 BP being much more consistent and the fact it has the benefit of being a sound-based move, benefits such as bypassing the annoying substitute. U-Turn's problem is that it dishes out Yanmega's Physical Attack damage, not his Special Attack damage so some may see it as a waste of a move slot. Also the lack of a recovery move like Giga Drain leaves Yanmega possibly even more vulnerable with these alternative moves due to Life Orb taking some of Yanmega's health. Another alternative for Yanmega is the move Psychic to counter a number of poison-types. As mentioned before, 1 stage allows a Yanmega with 137 speed to even outspeed Mega Gengar and with Psychic, it's an automatic One Hit KO against Mega Gengar with no investment in it's Special Defense, a testament to just how Yanmega should not be underestimated. Overall. What's Yanmega like? As the name of the set explains itself, most trainers who underestimate Yanmega, especially those cocky regular Blaziken users, will have no idea what they are getting themselves into. On one hand, the trainer using Yanmega needs to understand it's limitations as opponents who do understand Yanmega, know how to counter Yanmega's really good stats but blessed and cursed typing. I love Yanmega. While Gen IV introduced one of the worse Bug-Flying's in the game (Mothim), Vespiquen and Yanmega on the other hand do the type proud, being decent threats that fill their own niche. While Yanmega is a serious threat in Singles, especially thanks to Speed Boost/Tinted Lens, that is not the same in doubles. Lava Plume, Rock Slide, Blizzard, Discharge... Yanmega is so vulnerable to spread moves that it isn't funny. Even ones that it is neutral to, like Surf, Dazzling Gleam, and Hyper Voice can do serious damage if not outright KO due to Yanmega's pathetic SDEF. Doubles strategies such as Trick Room and Tail Wind, can cause Yanmega to be outsped before it can even start. Furthermore, Yanmega is like Mega Beedrill in that it almost needs its targets weakened or eliminated, as every time Yanmega fails to hit a OHKO, it is vulnerable to a counter attack that will KO it. And in the vicious environment of doubles, that is all too common an occurance. Doubles Yanmega. You more or less need Wide Guard support, but in return, Yanmega is a fairly fast Tailwind setter and with Tinted Lens and a pseudo speed boost from Tailwind, it can deal serious damage to an opponents team with near unresisted coverage. Detect is for scouting, stalling and bluffing you have a Speed Boost set. I was once routed by a Gengar who critted 4 times in a row on my team. Morale of the story; Crits happen and Sucker Punch is good Gengar repellent. Pain is getting flinched 3 times in a row by an Aerodactyl. I love Yanmega. While Gen IV introduced one of the worse Bug-Flying's in the game (Mothim), Vespiquen and Yanmega on the other hand do the type proud, being decent threats that fill their own niche. While Yanmega is a serious threat in Singles, especially thanks to Speed Boost/Compound Eyes, that is not the same in doubles. Lava Plume, Rock Slide, Blizzard, Discharge... Yanmega is so vulnerable to spread moves that it isn't funny. Even ones that it is neutral to, like Surf, Dazzling Gleam, and Hyper Voice can do serious damage if not outright KO due to Yanmega's pathetic SDEF. Doubles strategies such as Trick Room and Tail Wind, can cause Yanmega to be outsped before it can even start. Furthermore, Yanmega is like Mega Beedrill in that it almost needs its targets weakened or eliminated, as every time Yanmega fails to hit a OHKO, it is vulnerable to a counter attack that will KO it. And in the vicious environment of doubles, that is all to common an occurance. Doubles Yanmega. You more or less need Wide Guard support, but in return, Yanmega is a fairly fast tail Wind Setter and with Compound Eyes and a pseudo speed boost from Tail WInd, it can deal serious damage to an opponents team with near unresisted coverage. Detect is for scouting, stalling and bluffing you have a Speed Boost set. If your considering speed boost, I really do recommend some bulk as Yanmega doesn't really need all 252 SPE EVs. He has enough speed in the 148+ EV range to be paired with Speed Boost. As long as you avoid 4x super effective moves, Yanmega on the physical side of things can take people by surprise. It's not a bad idea for Yanmega to have some extra bulk when he doesn't need the extra speed. Unless of course your going for Tinted Eyes anyway. One thing to be fixed regarding the set descriptions is that one of Yanmega's main abilities is Tinted Lens, not Compoundeyes. Compoundeyes is one of the abilities of its pre-evolved form, Yanma. I have claimed Drapion, Yo-Kai Watch 2: Fleshy Souls and Fiora from Xenoblade Chronicles. Sceptile Leaf Blade and shoz999 like this. So in general what I'm getting at here is that... Yanmega is most fun to use in Singles. Curious. Who here actually used Yanmega and are not just simply basing it off of Smogons competitive notes? Cause if you haven't used Yanmega, ho ho ho.... your missing out on a quite lot of fun gimmicks to be had with Yanmega. It has just the right amount of strength and limitations to make your brain sweat in confusion! That and a lot of spiral-eyed Blazikens dropping to the floor, I've lost count how many Blazikens fell victim to Yanmega's slightly higher speed. Try it out if you haven't. With a Yanmega on your team and speed boost Pokemon like Blaziken, Scolipede and maybe Ninjask by trainers who actually know what Yanmega is capable of, you'll be sure to have a fun time finding yourself in a speed-boost war lol. A speed-boost war, as I liked to call it, is when the opponent's Blaziken, usually Blaziken, realizes that Yanmega will definitely one-shot it with Air Slash and he switches out to a Yanmega counter. Then I switch out with a counter to that counter. From there on, you or the opponent have to decide which is the right timing to re-send out your Speed Boost Pokemon and gain an early stage 1 boost ahead of the other speed boost Pokemon. It's especially trickier with stealth rocks on the field. I'm kicking myself for making that mistake. Thanks for pointing that out, I fixed all mentions in my post. Out of curiosity, I've notice that the two of you seem to prefer full investments in Speed EVs? I always thought it was quite odd to fully invest Yanmega's Speed EVs since it's Speed Boost looked like good encouragement for different EV spreads, like it's bulk. Not saying the bulk is perfect but it's there and the Speed Boost/Detect tactic is quite common for Yanmega against faster harder-hitting Pokemon that can outspeed a Yanmega with Speed-Focus Nature and full 252 Speed EVs meaning you really don't need the extra EVs anyway. As one who knows how Yanmega functions in the battle scene, honestly the only real reason you want extra Speed EVs is not necessarily to outspeed as much Pokemon as possible from the start or during switch-outs but, out of high risk, to potentially outspeed through Speed Boost against other Pokemon who have raised their Speed stats. I say not necessarily to outspeed as much Pokemon as possible because Yanmega, even with full invested Speed, is already outclassed from the start in speed by so many Pokemon who can one-shot it which is the whole reason Detect is often recommended for Yanmega. Due to these reasons, 252 Speed EVs seems less consistent. Is there something far more beneficial with 252 Speed EVs? Thanks for the note on Compound Eyes. Made the change to Tinted Lens when mentioned in my write up. The max Speed EV investment in my write up is due to the fact that it is meant as a Tinted Lens set. Additionally, Speed Boost sets may also wish to forgo protect (e.g. a Speed Boost + Specs set), or they can't afford to use Protect, lest if their opponent uses the Protect to set up, which in turn partially justifies the max Speed investment as at base 95, Yanmega is prone to being outsped without Speed Boost. Choice Specs Yanmega... a risky set but if no proper counters, a very OP set. Pretty clever.